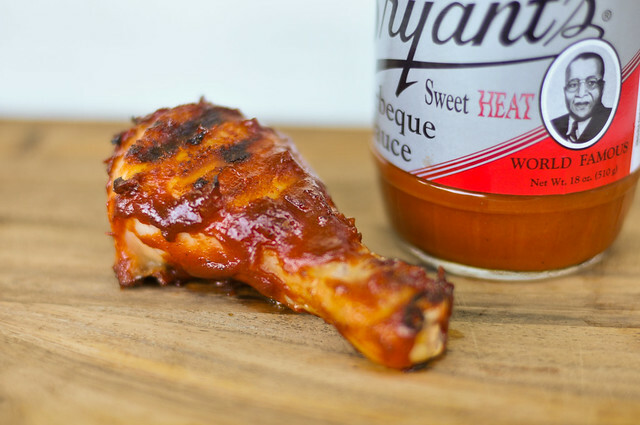 Striking and excellent balance between sweet and heat, tomato and mustard, with just the right vinegar tartness thrown in, Arthur Bryant's Sweet Heat lives up the name this Kansas City institution has worked over a century to build. If you like barbecue enough to read this blog, you probably already at least heard of Arthur Bryant's. Arguable one of the most famous barbecue joints, this Kansas City establishment traces its roots all the back to 1908 when Henry Perry started selling smoked meats. Charlie Bryant soon lent Henry a helping hand, and they moved to the 18th Street and Vine neighborhood where they were also joined by Charlie's brother Arthur. After Henry's passing, Charlie ran the business, followed by Arthur, who worked on perfecting the sauce and also opened the still standing restaurant at 18th and Brooklyn. Although Arthur passed in 1982, the business still flourishes with three restaurants and an online store selling their famous sauces and rubs. 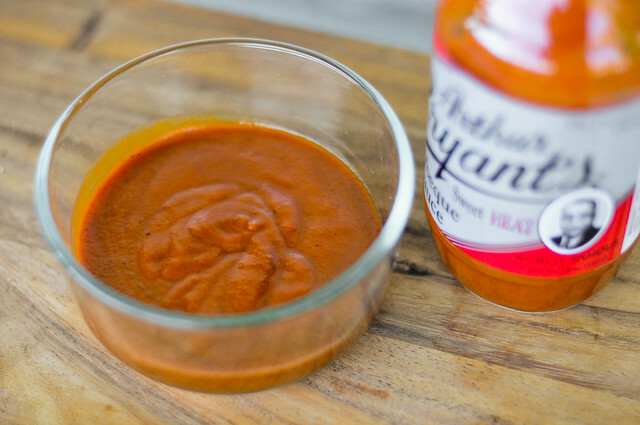 There's a nice play between tomato and mustard with this sauce. The tomato gives an easy sweetness, while the mustard lends a bit of a bite. There's also an equally weighted vinegar that isn't too strong or too subtle. 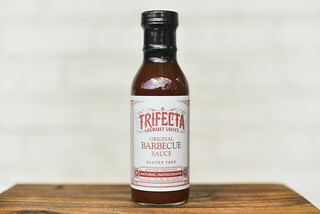 This smooth, orange sauce has a medium-thickness that falls off a suspended spoon in chunks, while leaving a fair amount of sauce still clinging. There are little visible spices seen in the opaque sauce. Just like with the smell, there's a good balance between tomato and mustard that play off, as well as compliment each other. The sauce starts with a semi-tart, slightly sweet tomato flavor. As the mustard starts to kick in, the vinegar really amps up. Then the heat begins to hit hard, but the previous flavors keep lingering to keep the barbecue taste going. The actual source of the heat is hard to discern, if I were to give a guess I would say it's mostly from cayenne, which gives a spiciness that can really linger. This sauce really dressed up the chicken leg well. It first baked in nicely, then had some nice caramelization over direct heat, but didn't burn. As expected, there was some more sweetness that came out after cooked, which actually put the sauce in an even better balance with the heat. 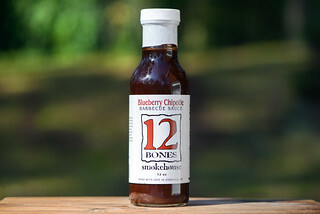 The only issue I had was at first taste, the vinegar was a bit strong and seemed a little off, but that quickly disappeared as I ate more of the chicken, which I thoroughly enjoyed. I haven't traveled to Kansas City yet, so have not been to Arthur Bryant's myself. I sometimes think big name places don't always live up to the hype, but this sauce made me think this institution may be worth all its worked for. The sauce had a great balance between sweet and heat, tomato and mustard, with just the right vinegar tartness thrown in. Cooked on a piece of chicken, it complimented, but didn't overpower the meat, and also showed excellent grilling properties. 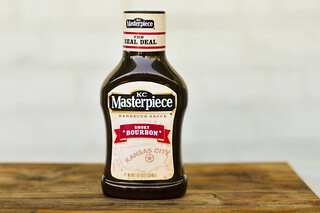 I can imagine this sauce would go well on almost anything you might care to slather it on. 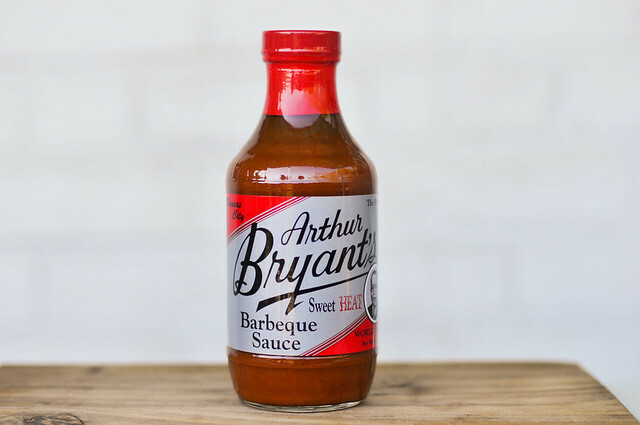 So now with my interest thoroughly peaked, I must book that ticket to Kansas City and try Arthur Bryant's famous barbecue first hand—if it has this sauce on it, it's bound to be good.